50,000 metres of curtain & upholstery fabric to clear. Our factory shop offers unbeatable value for money and a very different retail experience to our main stores. 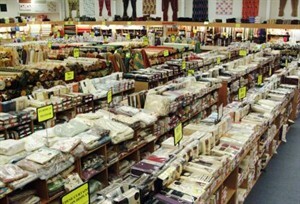 Although it still offers a very similar and extensive range of designs through its showroom the majority of fabric stocked is clearance. We also stock 1000’s of readymade curtains with up to 70% off RRP and ex-display curtains at half price. 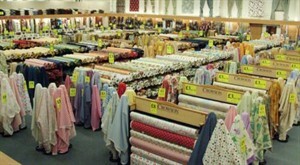 VISIT US TODAY AS THE FABRIC THAT YOU WANTED MAY NOT STILL BE WITH US TOMORROW.